I hope you all are enjoying your Christmas, we are! I want to thank all of my loyal blog followers for stopping by to see me when I post, you all are truly amazing! This was my Christmas card that I mailed out to family and friends. They were inspired my "boss" Mary Fish. She created a card very similar to this one way back in October, and I just loved it. 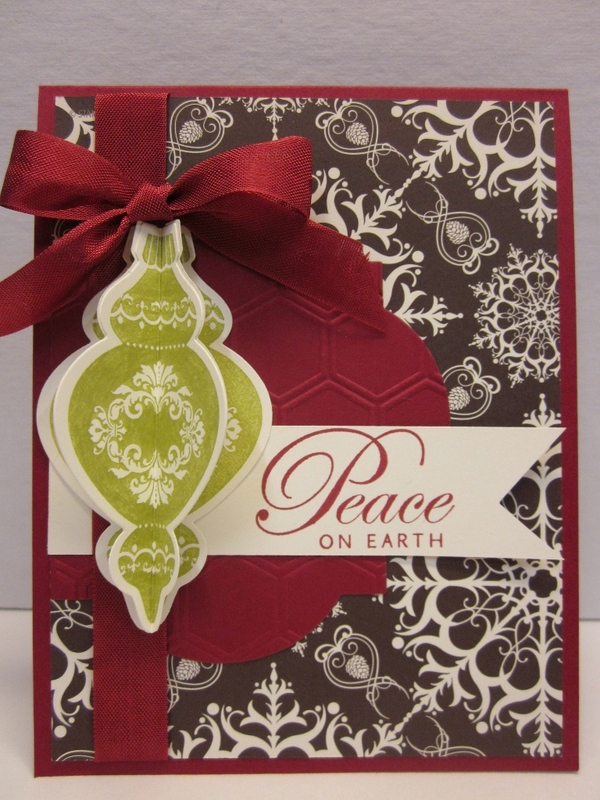 When thinking about a great quick card that was easy to mail, this one seemed perfect. This is my Ode to her. Mary is truly a great mentor! Enjoy the rest of your holiday! Thanks so much for stopping by, I hope you were inspired, enjoy! Beautiful card! I agree, your "boss" is awesome, I enjoy both of your blogs. 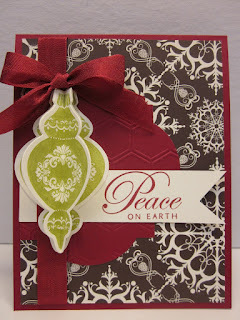 Merry Christmas ans happy stampin'.